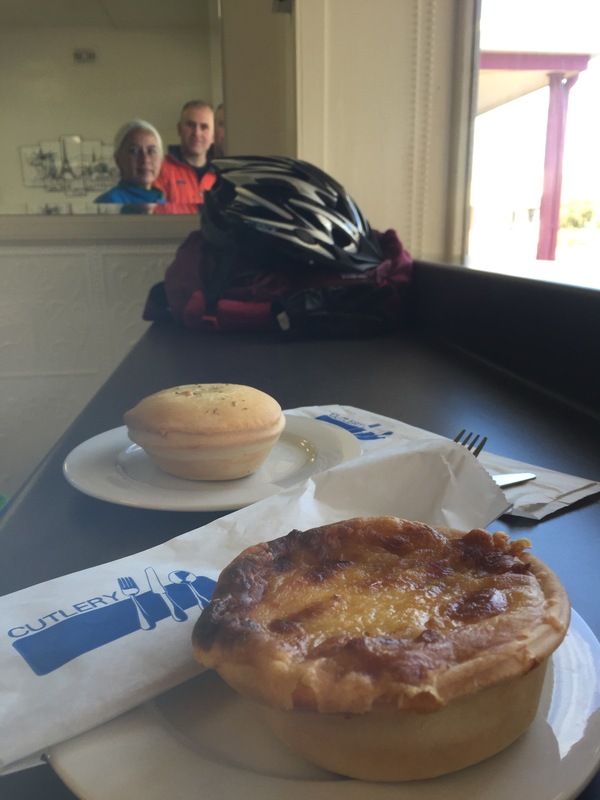 Wednesday’s selfie combined with a shot of pies – from Little’s Cafe in Kingston, South Australia – a lamb pie and pizza pie. The latter you’d think would be a complete affront to both pies and pizza but it works. The pies are both contenders.